Natural incense sticks by Shoyeido, found at the Monocle Shop in London. Scent Gen-Roku (Returning Spirit), features aged woods and fine herbs. Introducing a new scent is probably the simplest way to create a new mood for a room. 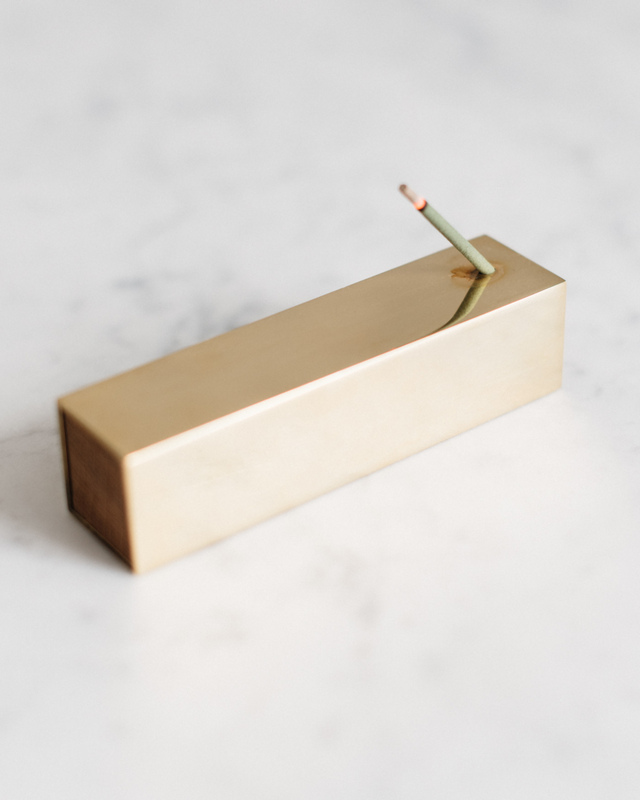 For our bedroom in Helsinki, I chose Japanese Shoyeido incense sticks that we burn in the polished brass and oak incense burner by Monocle. Half a stick is better than burning a full one. Fresh air in afterwards and the room is ready for the night.